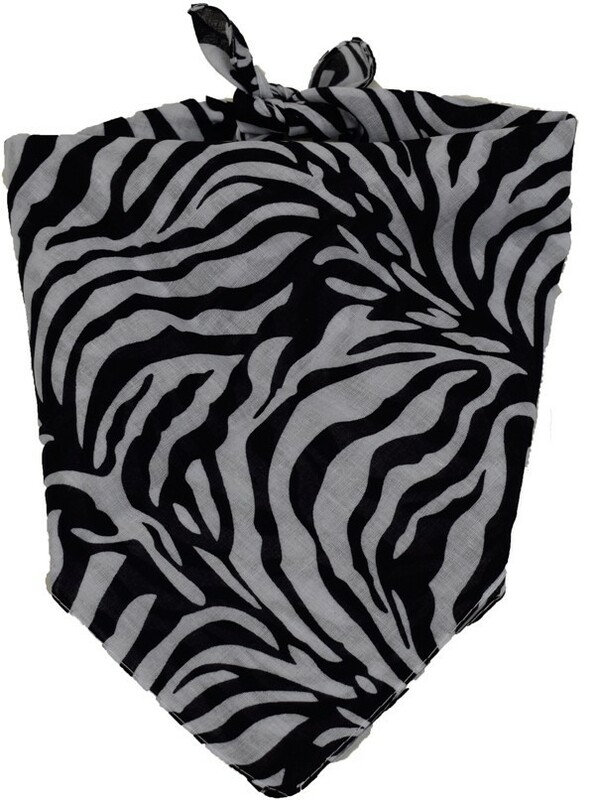 E-scarf.dk – zebra striped bandana. If you need a little scarf – some coats don’t leave much room for a scarf – a bandana is perfect. And a black and white scarf goes with almost everything. Zebra-stribet bandana. 100% bomuld. Bandanaen måler 55 x 55 cm. 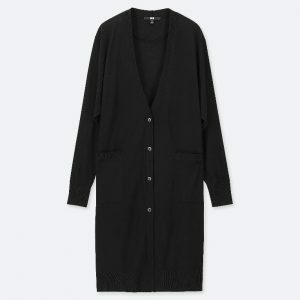 Uniqlo – longline dolman sleeved cardigan. Definition of ‘dolman sleeve’: a sleeve very wide at the armhole and tight at the wrist. 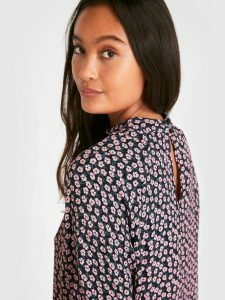 Wide armholes are so practical because it leaves room for the dress underneath. I was so excited about this cardigan that I had to buy another for backup. 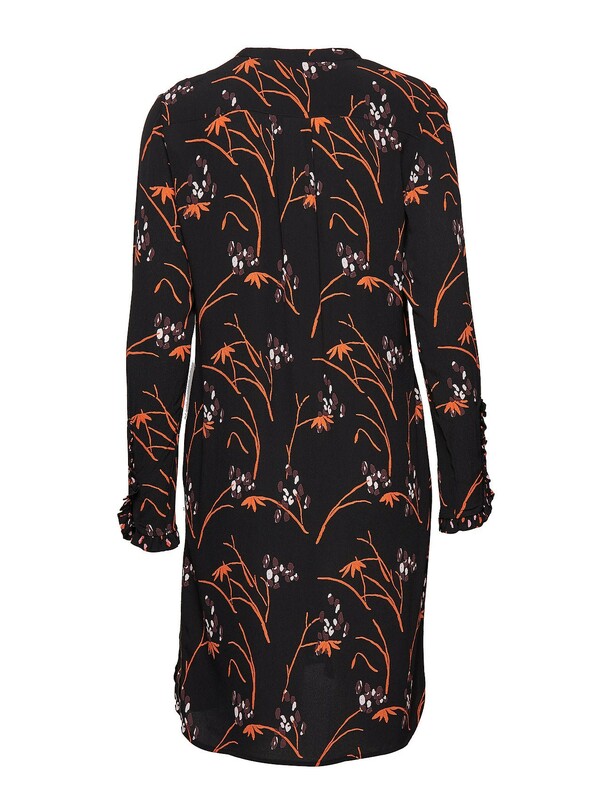 I will use it now as an extra layer over dresses and I will use it as a ‘coat’ when it gets warmer. I love Uniqlo and I am so grateful that they now open in Denmark. 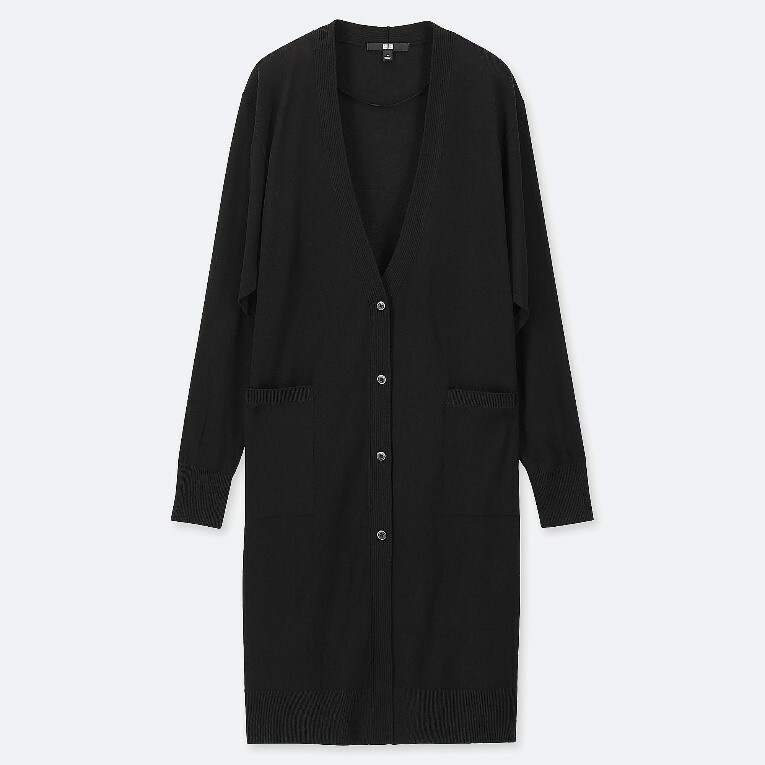 Cool, comfortable long cardigan. Dolman sleeves for an on-trend style. 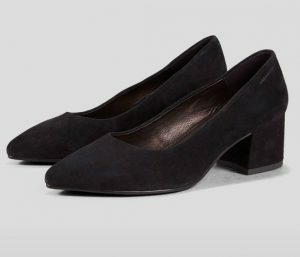 Light, smooth feel with an elegant drape. UV Cut feature protects the skin by blocking 90% of ultraviolet rays. Wide dolman sleeves layer comfortably even over a wide-sleeved T-shirt. 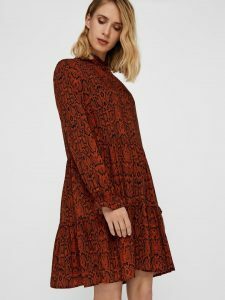 Loose-fitting cut with an elegant design. Body and pocket knit blend together for an attractive design. 50% Acrylic, 50% Rayon. 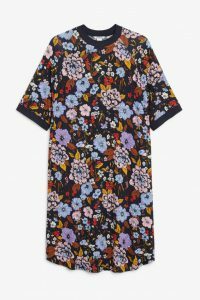 Monki – floral t-shirt dress. 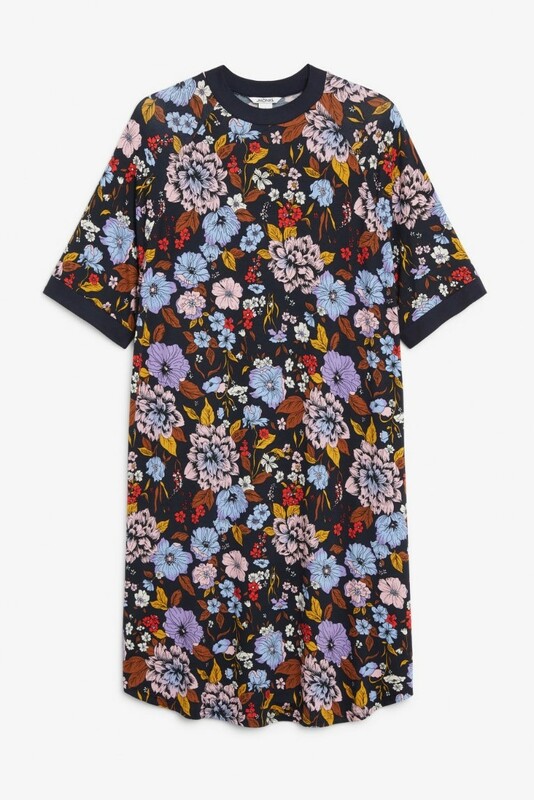 I love the t-shirt dresses from Monki. That’s why I have so many of them. I buy them a size smaller, though. They are very oversized. 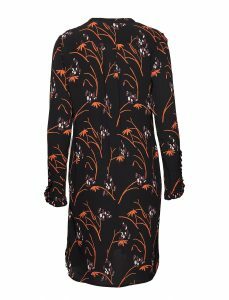 Stretchy oversize black t-shirt dress with a purple and pink floral pattern. Features a ribbed collar & sleeves. For when garden flowers just aren’t cutting it anymore. In a size S the chest width is 116 cm and the length is 99 cm. No: 0678242002. Composition: Viscose 95%, Elastane 5%. Maria Black – Gorden silver signet ring. I got this signet ring for my little finger. I saw a male person with a signet ring on his little finger in the Danish movie Lykke-Per and was fascinated. Then I saw signet rings on little fingers everywhere. And now I have my own. I like simple silver jewellery. I usually let the dress do the talking. Everything else is low key, simple and basic or inspired by male wardrobes. That’s how I like it. 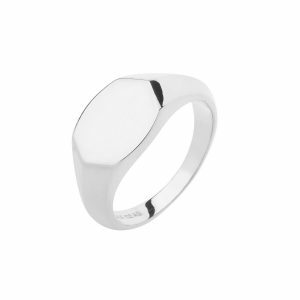 The newest signet ring from Maria Black. 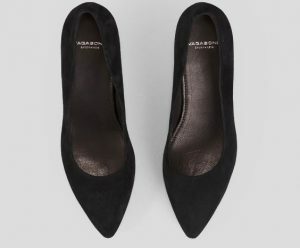 Available from size 46 to size 66. 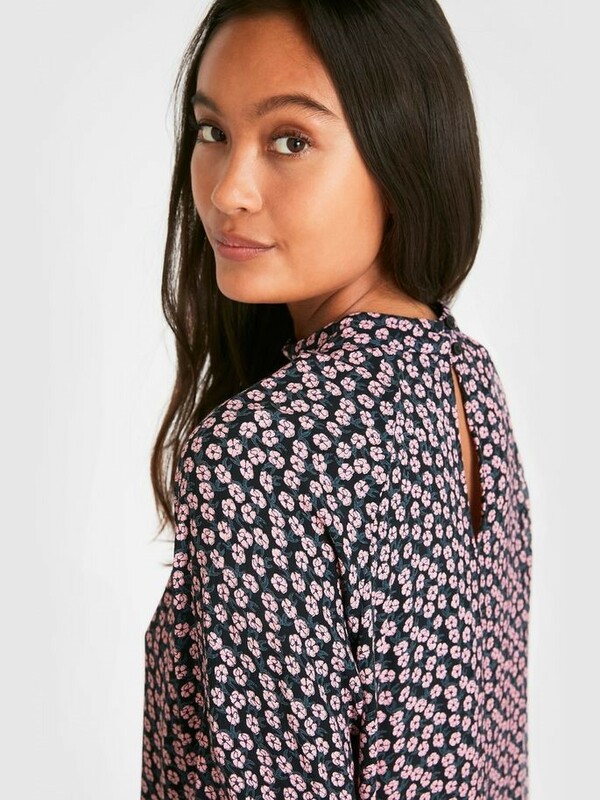 Pieces – black dress with pink flowers. I got this dress last week and it has already become my favourite. The small pink flowers remind me that a new and warmer season is approaching. The fit is absolutely perfect. Raglan sleeves are so flattering. 350 dkk here and here. Langærmet. Højhalset. Blomster-printet. Knaplukning i nakken. Midi længde. Løs pasform. 100% viskose. Artikelnummer: 17094728. 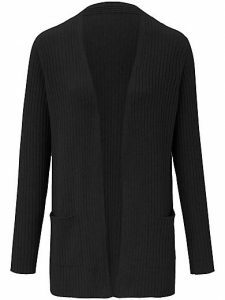 Peter Hahn – ribbed Include cashmere cardigan. 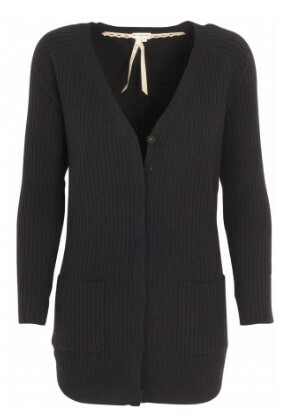 Peter Hahn have so many great cashmere cardigans. Basic style. Perfect to combine with a jewel of a dress. Strikjakke fra Include i ribstrik uden lukning med løst fald og 2 påsatte lommer. Af 100% kashmir. Længde ca. 72 cm. 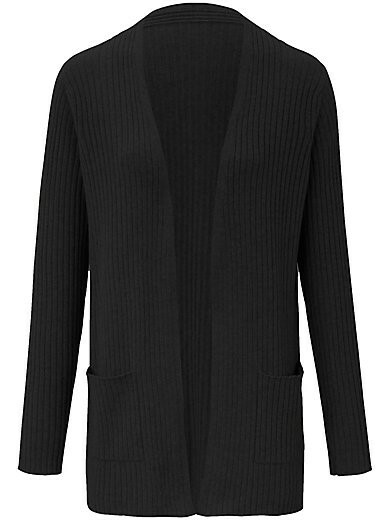 Life is Cashmere – black ribbed cardigan. Cashmere cardigans. That is how I get by wearing dresses all year round. Lang ribstrikket cardigan med dyb v-halsudskæring. Style nr. 182-63. Fine stofbetrukket trykknapper og ribstrikkede lapper på albuerne. Rundet kant forneden. Længere bagpå. Kvalitet: 100% cashmere, 12gg, i den fineste ¨Supior Quality¨ klasse 1. Y.A.S. 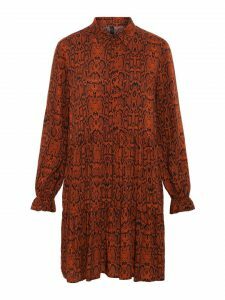 – Bombay brown snakeprinted shirt dress. I am so happy for this dress. The fabric is great. The elastic cuffs are just perfect. It’s always a problem for me that the sleeves are too long. This detail solves that problem. Short flowy shirt dress with ruffled elastic cuffs. 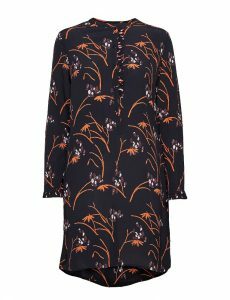 Features a seam at the waist, an A-line silhouette and a button-up front. 100% Viscose. Loose shape. Regular collar. Button fastening. Unlined. Artikelnummer: 26014874. Coster Copenhagen – shirt dress in Hibiscus print. 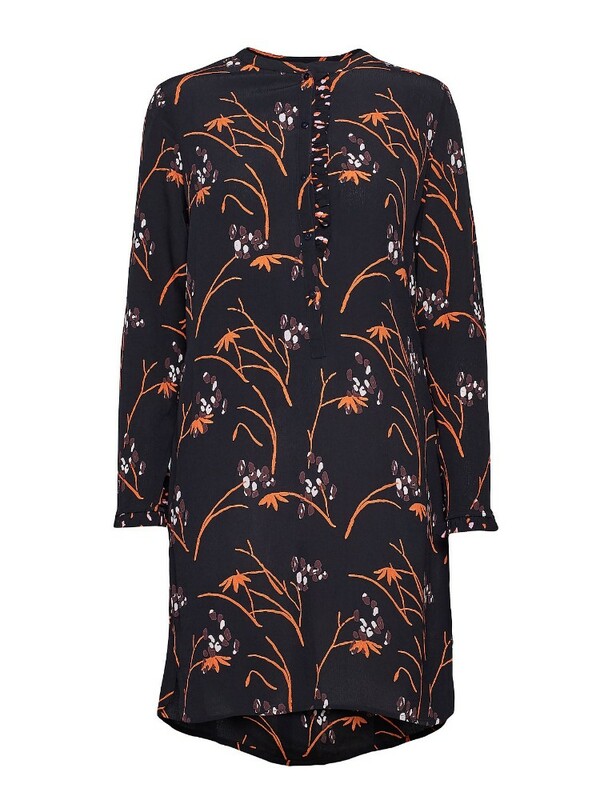 The colourful print lightens up this dress. 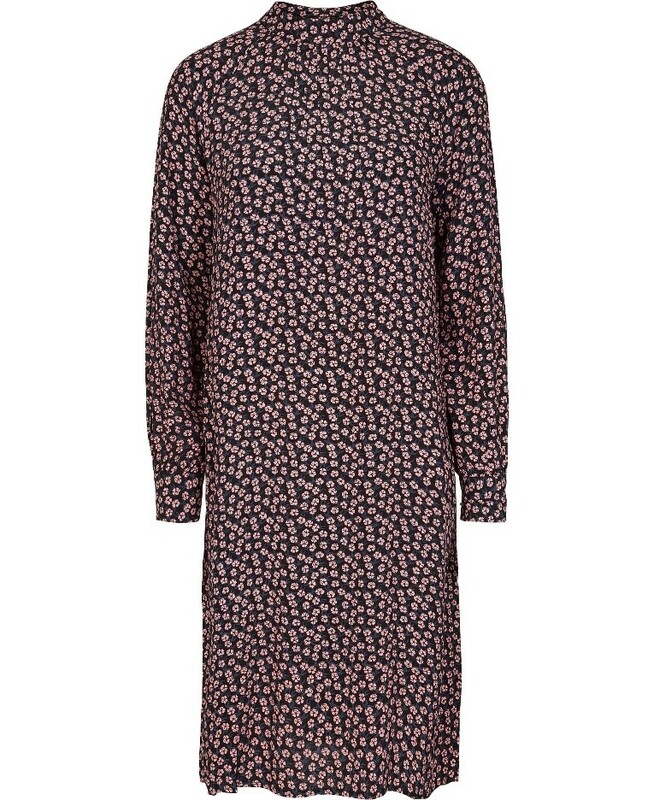 It’s a great dress for winter. It’s perfect under a cardigan because the cardigan will not cover the details in front. 899 dkk here and here. Skjortekjole i viskosekvalitet med knapper fra halsen og ned til bryst. Kjolen har flæsedetaljer ved håndleddet. Kvalitet: Viscose 100%.